Training a young horse is a great experience for you both. Training young horses requires time, care and dedication. Whether you’re searching for one that has already been broken or plan on doing so yourself, you should always make sure your horse has a solid foundation in groundwork before moving to the saddle. Stacy Westfall, a champion freestyle rider, told HorseChannel.com she spends weeks going through groundwork, sometimes staying out of the saddle for up to three months. “It is one of the most important times, when I have a huge opportunity to influence his thoughts, opinions and even his physical reactions – things that will impact his entire life,” she explained to the publication. Westfall explained that groundwork is a chance for she and her horse to get to know each other. She comes to understand her horses’s actions and changes in attitude which helps her design more efficient exercises later on in the training process. Ground training a horse also tells you what is and isn’t normal, so you can easily spot changes in behavior and try to find the source of the problem. For example, when ground training a horse called Mia, Westfall noticed the horse was unusually sullen one day. This clued Westfall into the fact that her horse’s muscles were probably sore. You can technically start training a horse as soon as you’re ready, but keep in mind they won’t be able to handle weight until at least 3 years of age. At this point, you can opt to do some light riding. Most breeds don’t have a developed skeleton or muscular system until age 4, and others take even longer. Even at 4, a horse’s growth plates might not all have converted to bone just yet. You can still ride, but waiting a little longer makes for sturdy bones. At the same time, waiting too long gives your horse more time to develop unruly habits unsuitable for riding. It is up to you to determine the right point at which your horse is physically developed enough for a saddle while still young enough emotionally to train. It should be noted that although many racehorses start their careers at age 2, they are often retired by 6 or 7. If you want a healthy horse with a lengthy career, it’s best not to put too much stress on its developing body. Young horses that undergo a lot of skeletal changes can develop various health issues if they’re improperly trained. Some of these issues, such as arthritis, don’t appear until the horse is older. Arthritis can’t be cured, and even treating it can’t bring back full mobility or relieve 100 percent of the pain. Often, horses who develop arthritis have to retire early to prevent further damage to their joints. Researchers at Texas A&M University suggests horse owners should try to prevent arthritis rather than waiting for it to appear. One such preventative method is adding horse joint supplements to your equine’s meals. These supplements contain ingredients like glucosamine, sodium hyaluronate, vitamin C and more to support joint health and manage inflammation. 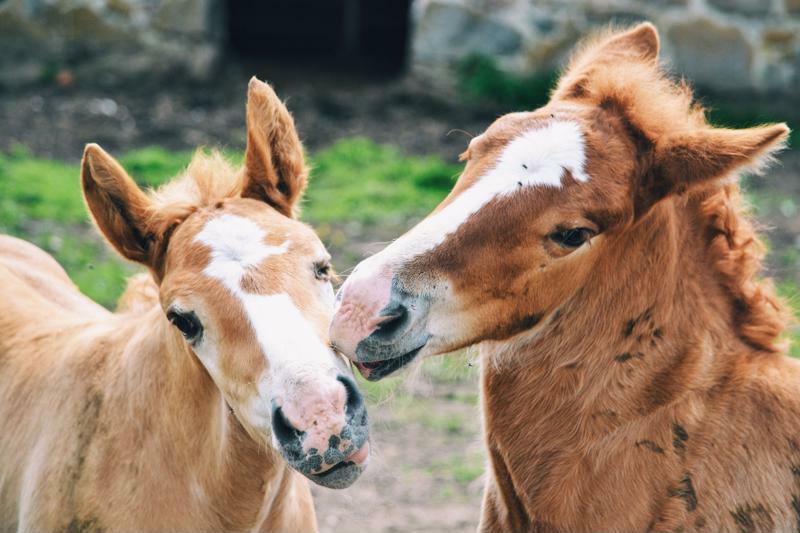 Dr. Josie Coverdale, an associate professor at the TAMU, and Dr. Jessica Lucia, a professor at Sam Houston State University, conducted studies to see if glucosamine had any effect on young horses. They found it helped protect existing cartilage and supported new growth. Training a young horse is all about finding a balance between physical development and a mentality that’s willing to learn. Throw in a little preventative care, and you’re well on your way to a great training experience.